Mumbai has got plenty to offer if you are looking for fantastic shopping experiences without draining your wallet too much. 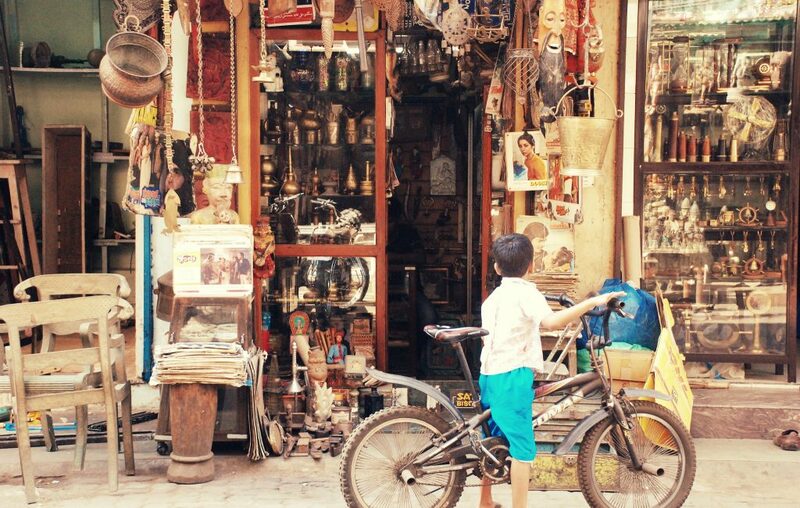 We’ve rounded up a list of the Indian city’s finest thrift shopping areas and flea markets for you to explore. Mumbai’s Chor Bazaar is bound to thrill any true fan of thrift shopping. Eccentric items from around the country and across time periods make their way to the crowded stores of this famous bazaar dating to the mid-19th century. Whether you are looking for 80s Bollywood film posters or for spare automobile parts, Chor Bazaar will give you all you are looking for, and then more. Lined with vendors selling all sorts of clothes at dirt cheap prices, Fashion Street in South Mumbai is a regular haunt for Mumbai’s budget-conscious fashionistas. Clothing found here ranges from traditional wear to knock-off branded sportswear. There are also plenty of vendors selling shoes, bags, watches and accessories. Fashion Street’s 150+ busy and mostly nameless pop-up shops are up and running throughout the year, only to scale back mildly during the city’s crippling monsoons. From rich collections of artificial jewellery to affordable clothing in the latest trends, Bandra Hill Road’s bustling street-side pop-up stores offer some of the city’s finest budget fashion finds. Make sure to slot in a significant amount of time to spend rummaging through racks of some of the city’s best affordable traditional clothing at Hill Road’s Elco Market area. The area also has numerous small street food stores for you to refuel amidst your shopping experience. 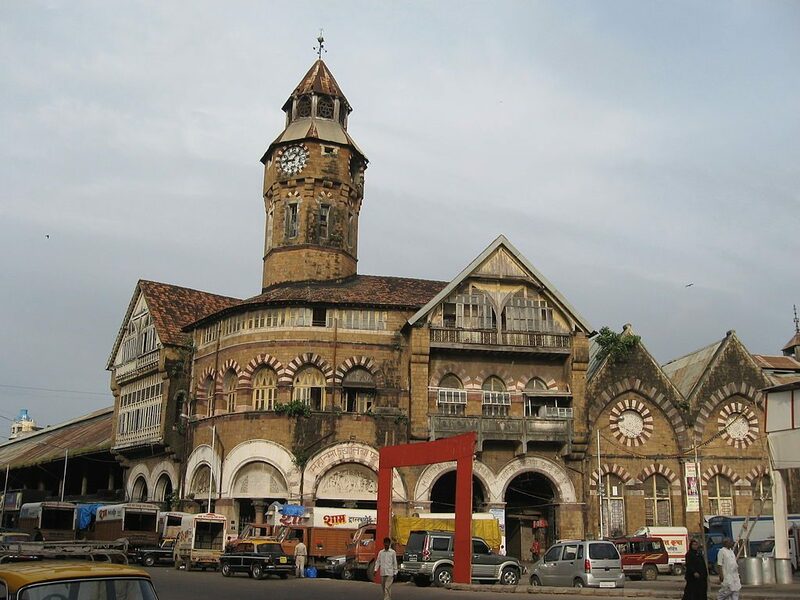 Crawford Market, also known as Mahatma Jyotiba Phule Mandi, is among Mumbai’s largest and most popular. Vendors from around the country dealing in all sorts of items, from local produce and freshly ground spices to handicrafts and traditional jewellery, set up shop in the vast bazaar around the year. Located quite near the Chhatrapati Shivaji Terminus in the historic Fort neighborhood, Crawford Market first opened in 1869. 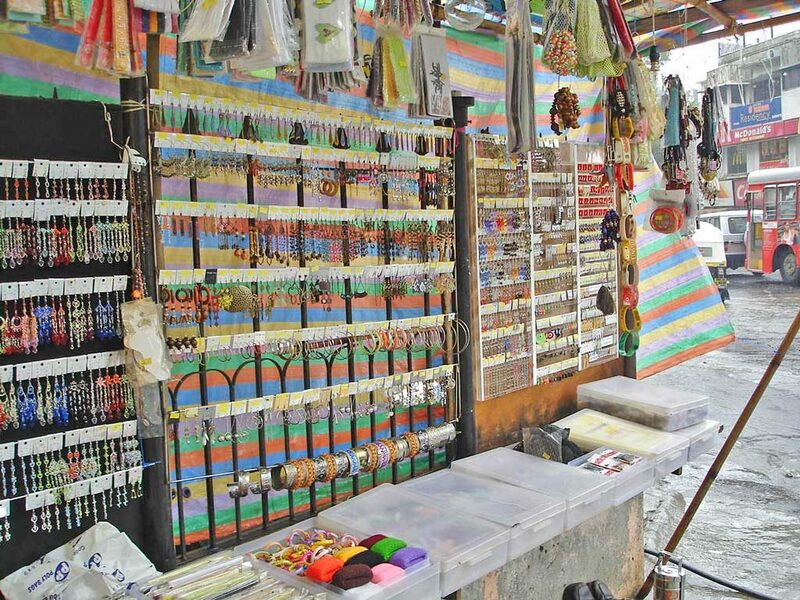 Among the most famous street markets in India, Colaba Causeway has the city’s best collection of knock-off traditional jewellery. Causeway’s many vendors also sell clothing, shoes, bags, souvenirs, used books and electronics, among other items. Café Mondegar, which flags the northern tip of the Causeway is a fantastic spot to grab beers when you’re in need of a break from shopping. Another top destination for thrift shopping in Bandra, Linking Road is ideal for anyone looking to indulge in street shopping and yet have easy access to fancy boutiques and swanky stores. From electronic gadgets to clothing and accessories, the market has much to offer.